Recently I have started deploying more and more versions of the WordPress code base for different projects that I have been working on, and a couple of them have been network (multisite) installs. For those who dont know what a multisite install is, well it allows you to run several instances of wordpress off a single codebase. If you choose option 1 then when you create a new site it will appear at example.com/newsite, this is very simple to set up, as it uses mod_rewrite to make them appear in the sub folders. The sub domain option makes sites appear at newsite.example.com. This, in my opinion is a nicer way of doing things, but it requires that you have the ability to have wildcard DNS for your domain. 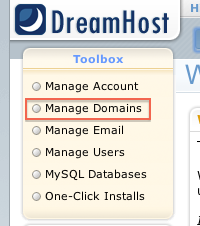 Unfortunately this is something that Dreamhost do not provide yet. 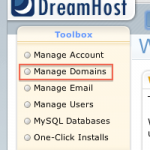 If you log into the excellent Dreamhost panel to administer your account then you can set up your domains, you can follow these steps to get the new site hosted. Scroll down and fill out the Mirror Domain form. Enter the new wordpress site into the “Create the mirror at” field, and choose the main wordpress network address from the dropdown for the mirror this site field. Finally click mirror this domain. You should see the success notification. Thats it, all done, your new WordPress network site is up and running on a sub domain. Its obviously not as nice as the domain magically appearing out of thin air, but on small-medium sites where you control the setting up of network sites manually you can do this at point of creation. If you also take the time to install the WordPress Domain Mapping plugin, then you can use the process above to host completely different domains off of a single wordpress codebase. How cool is that. Previous Previous post: Who needs iCloud?